ET Now: US markets have been hitting record highs. Do you think that there is still some more steam left in US equities and if yes, which sectors do you like in US equities? 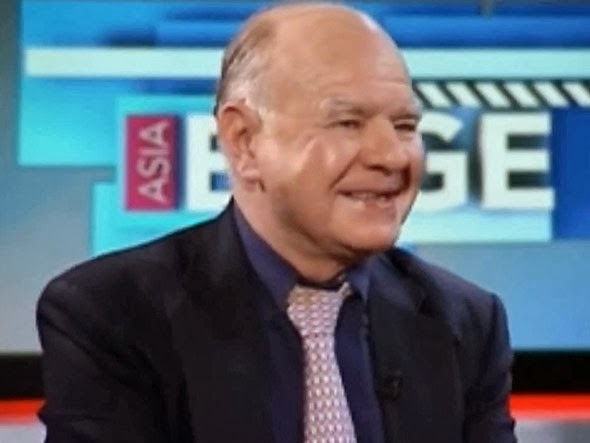 Marc Faber : In my view, there is only one sector that is particularly attractive and that is the mining sector. Gold and silver mining stocks are very depressed relative to the rates of the market and in absolute terms, in terms of valuations. So that sector is quite attractive. I also think that coal shares have been oversold and they are now at a reasonably good value, but other than that, I do not see any particular value from a long-term perspective. Now if you tell me that the market can go up another 10%, that may be the case, but it does not make for good value. Therefore if I look at the total return that I can expect from US shares over the next 5 to 10 years, it will be very disappointing. I would rather buy emerging market shares, which in terms of valuations are reasonably priced. In the case of India, profit margins are at a historic low. So if there is an improvement in the economy and in the macroeconomic environment, corporate profit margins could expand.